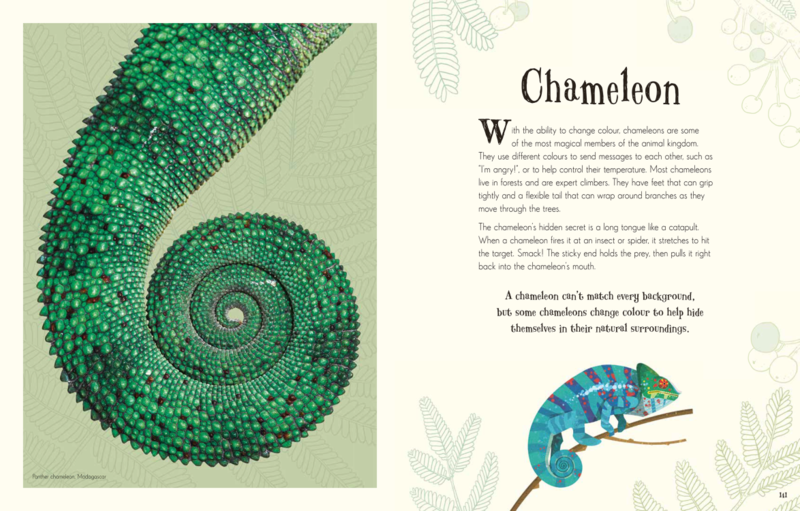 From its gorgeous gold-foiled jacket to its curious collection of creatures, An Anthology of Intriguing Animals is an unputdownable treasure! 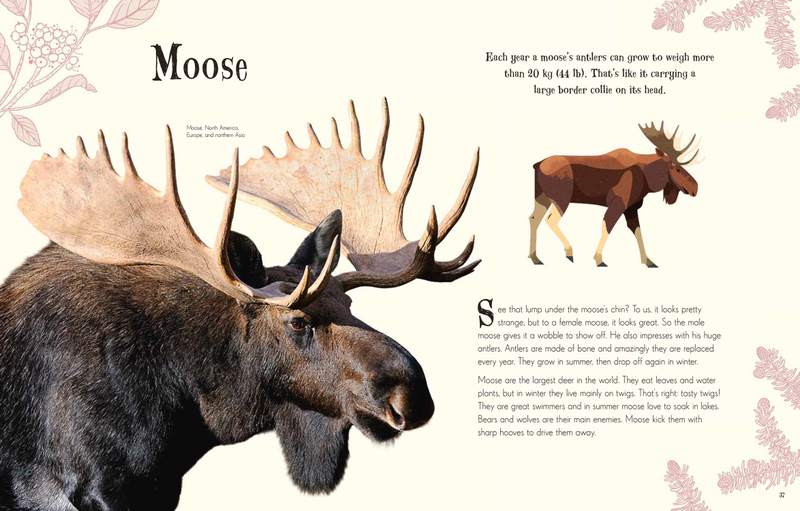 Including the well-loved and the lesser-known, this animal encyclopedia features extraordinary facts about more than 100 species. Perfect as a gift for young animal lovers, or even as a treat for fact-loving grown-ups, it’s sure to be a cherished volume in your home for years to come. Click through the gallery below for a sneak peek at some spectacular pages. Did you know? Chameleons change colors to send messages to each other, such as “I’m angry!” or to help control their temperature. Did you know? 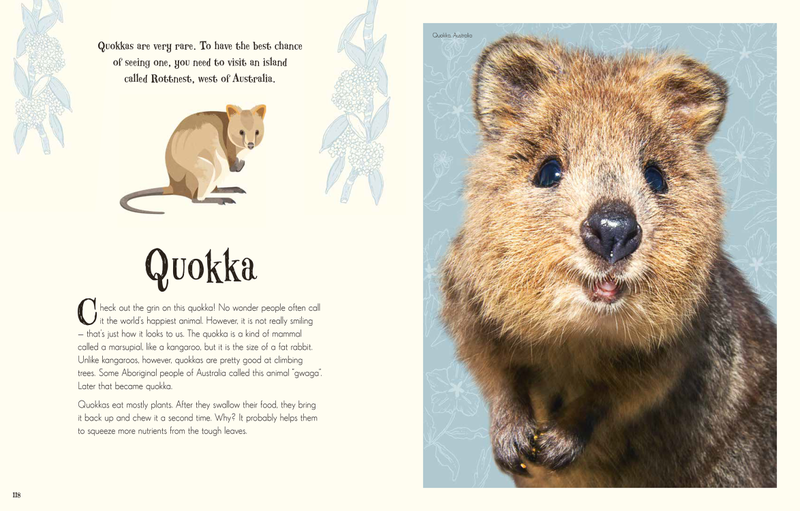 Quokkas are very rare. To have the best chance of seeing one, you need to visit an island called Rottnest, west of Australia. Did you know? Kiwis hunt at night. Their eyesight is poor, so they find creepy-crawlies to eat by smell and feel. 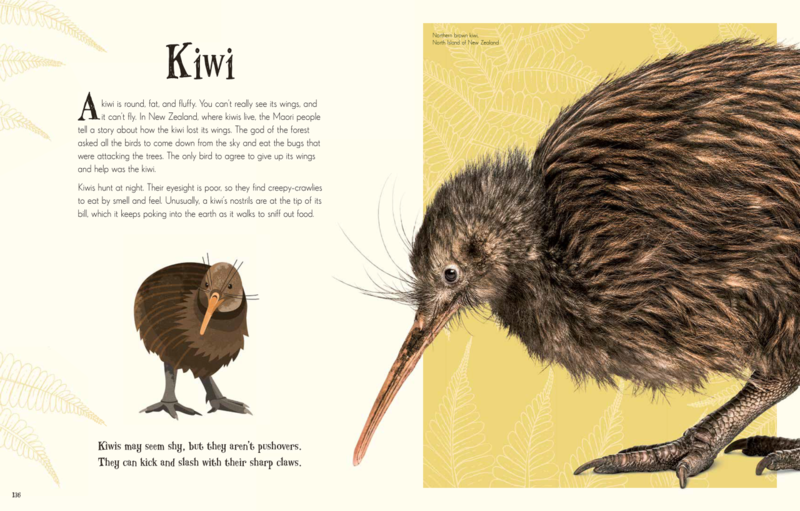 Unusually, a kiwi's nostrils are at the tip of its bill, which it keeps poking into the earth as it walks to sniff out food. Did you know? Male moose’s antlers grow in summer and then drop off again in winter. Each year a moose’s antlers can grow to weigh more than 44 lbs. That’s like it carrying a large border collie on its head! Did you know? Seadragons are some of the strangest fish in the sea. 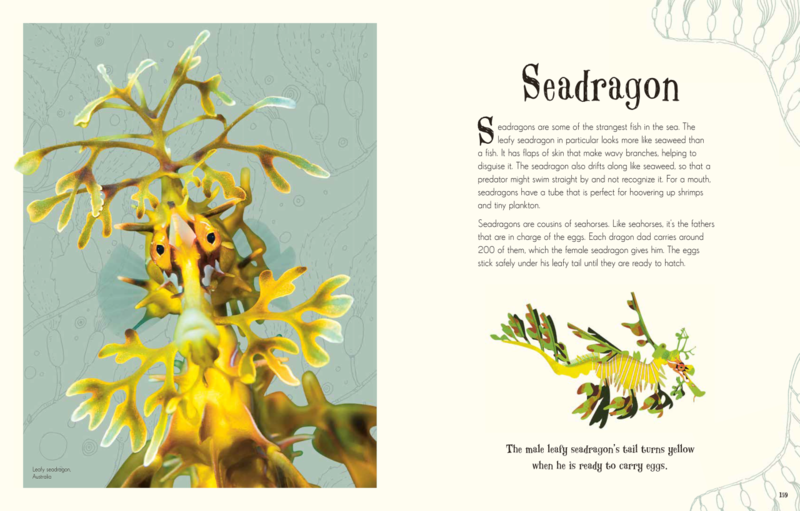 The leafy seadragon in particular looks more like seaweed than a fish. It has flaps of skin that make wavy branches, helping to disguise it.